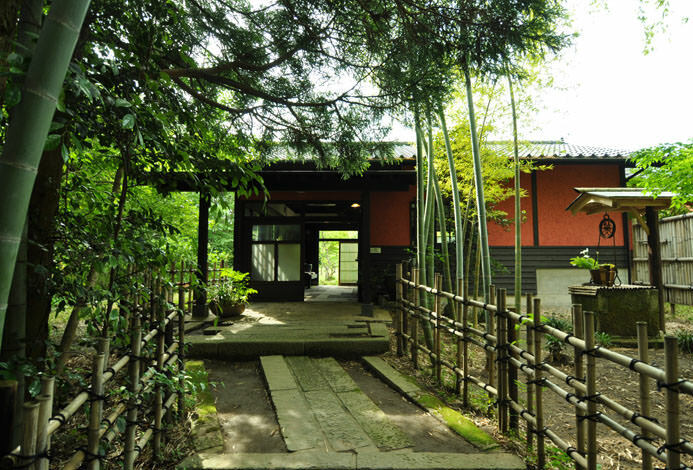 At the foot of the Kirishima mountains in the deep green wilderness is the Yukyu no Yado Isshin. Nature and modernity exist in harmony at the hidden-away hotel that offers fine cuisine and onsen. Experience supreme relaxation and comfort. There are just seven separate guest cabins. Furnishings of modern design and of traditional Japanese design adorn the spacious tranquil guest rooms. The hotel prides itself on its unique cuisine. Vegetables grown at the inn's own farm where no pesticides are used, Kagoshima kuroge wagyu beef from exclusive ranches, and fresh seafood caught in seas near Kagoshima: These are used as ingredients in a original cuisine created by a chef with a deep knowledge of the region's seasonal ingredients. Meals are sublime moments to experience with your eyes, your taste buds, and your soul. A granite in-room bath and a hinoki cypress open-air bath are available at each cabin. The bathes use kakenagashi onsen water that continually flow from the source hot spring located 1,200 meters below the ground. The nigori yu (cloudy onsen water) is highly praised for its therapeutic effects at Kirishima, one of Kyushu's premier onsen. Relax as long as you wish in the baths to heal and to revitalize yourself. The Kirishima mountains show a different appearance every season. The seven cabins surround a mirror-like body of water where a pristine image of the mountain range is reflected upon. Come stay at Isshin where you can enjoy a sophisticated holiday while experiencing relaxation and rejuvenation that only Kirishima can provide. I felt very welcomed by all staff from the point my car entered their property. They were very helpful with carrying all... Read more I felt very welcomed by all staff from the point my car entered their property. They were very helpful with carrying all my luggage from the car (which felt great after a long day) and very politely invited me into the check in area. All were smiling and I could feel that they were all serving from their heart. The lady who confirmed all the breakfast details during dinner was very detailed too and explained what are on offer. And when she couldn&#039;t explain something in English, she went to the kitchen and got the product out (vegetable juice) and showed us which was very thoughtful. Very impressed and I had a lovely stay, thank you to all staff! I felt very welcomed by all staff from the point my car entered their property. They were very helpful with carrying all my luggage from the car (which felt great after a long day) and very politely invited me into the check in area. All were smiling and I could feel that they were all serving from their heart. The lady who confirmed all the breakfast details during dinner was very detailed too and explained what are on offer. And when she couldn't explain something in English, she went to the kitchen and got the product out (vegetable juice) and showed us which was very thoughtful. Very impressed and I had a lovely stay, thank you to all staff! I heard that it has been in business for about 10 years, but the facilities are not old. The location of the outlet is a little different, right? I think I could have a blissful time. The service is very attentive. When you move your luggage to the room, you will pick up your luggage after passing through Shizi Road. In addition to waving and waving, there is another road running to the door to help inspect and wait until the car passes. Very considerate. ・In every guest room of the inn, gensen-kakenagashi onsen water that continually flow form the source 1,200 meters below the ground can be enjoyed. Each room has an in-room granite bath and a hinoki cypress open-air bath. 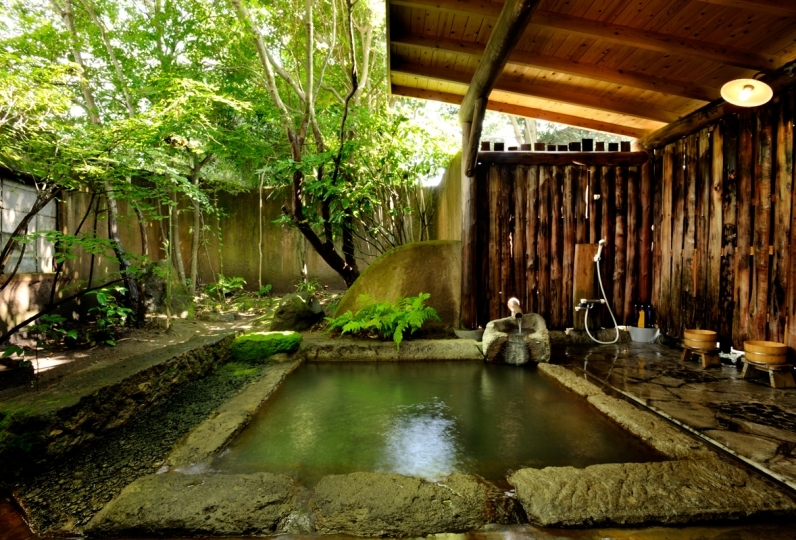 The highly-praised onsen water is said to be beneficial to the beauty and the health of the skin. Rare, hard-to-obtain exclusive shochu are available. You can receive spa therapies including a aromatherapy massage in your own guest room. We provide a shuttle for guests arriving by bus so please notify us in advance of your stay what time you will arrive. Get off at either Kirishima Jingu Station on the Nippo Main Line or Kirishima Onsen Station on the Hisatsu Line.